ArcGIS Online provides quick and simple mapping with basic GIS functionality for free. This is great tool to start your journey with maping. 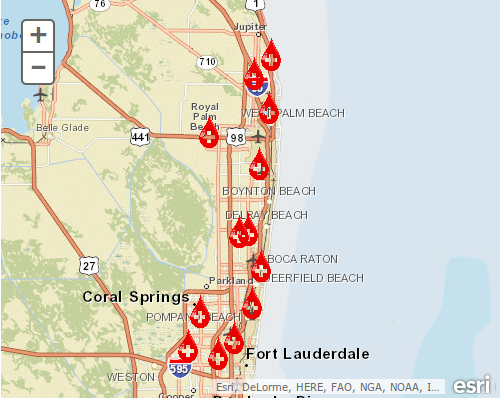 Maps can be created and viewed on-line via ArcGIS.com and share with friends or coworkers. Maps can be also embed to any website, blog etc. Throughout this tutorial, we’ll walk you through the creation of a basic custom symbols for our map. It’ll consist of two parts: Creation of simple map and adding a layer to the map and second adding our symbols and publishing map. 1. 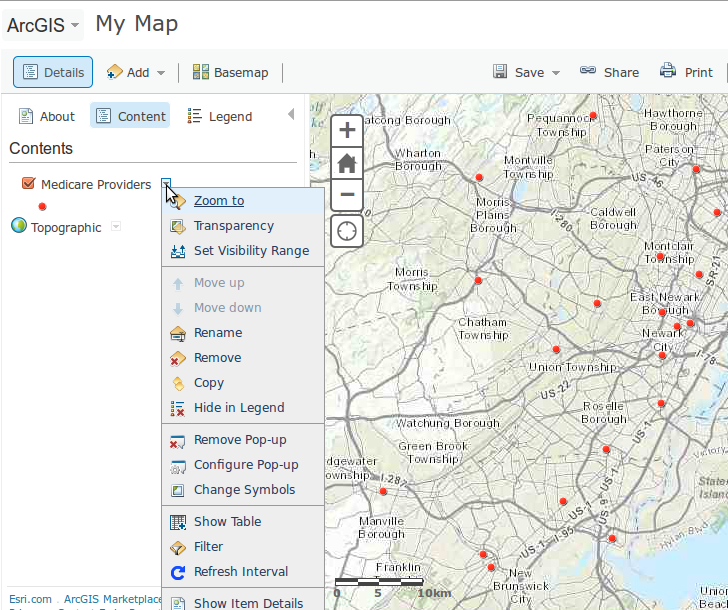 First you need to login to Arcgis.com, you will need an ESRI Global Account to save and share maps, don't worry it's free. 2. Click on the Map button in top Menu to create a new map (all your saved maps can accessed from the My Content tab). 3. 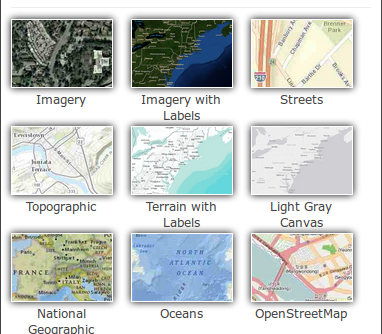 Click on the Basemap button to select a pre-made basemap, you can chose from 6 basemaps. TIP: Basemaps have a limited scale of range different basemaps have different maximum scales. You need to see which Basemap is the best for your work. 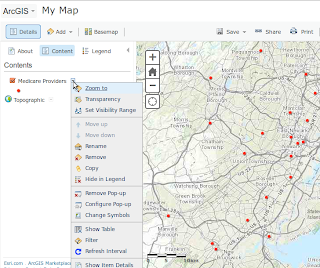 You can read more about Basempas on Arcgis webiste. 4. From Add top down menu search for new Layer, there is a lot layers available online and for basic mapping for sure you will find a layer perfect for your work. Of course you can also your Layers from: shapefile, GPS file or text file format. 5. Now we will change the Symbology on our first map.Click on the small squere next to the added layer name, like on screen below and in new menu click Change Symbols. 6. Next click Options and Change Symbols. 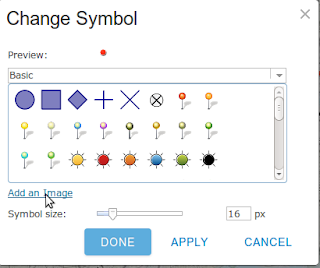 Now you can play with all available symbols from different categories or you can add your own symbol from URL. 7. 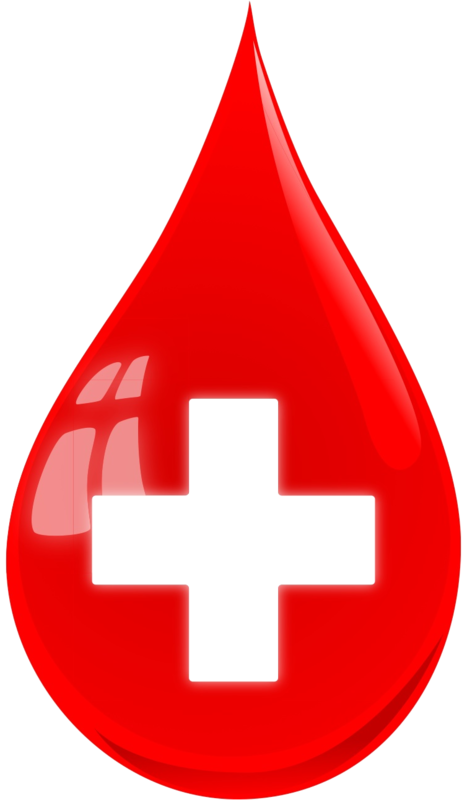 To add blood symbol paste to add a image this link. 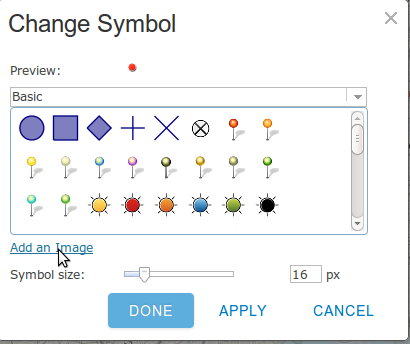 Or You can design your own symbols, just remember to set background in your symbols to transparent. 8. Click Save from the top menu bar, specyfie Title, Tags (descriptive thematic and/or location key words) and a brief Summary for your map. The best is to share your new map with Everyone then you can Share the link with people (on Facebook or Twitter). Add it to a website click the Embed in Website button to copy/paste code. Or finally create a webmap application click Make a Web Application button.